In 2013, ThingSpeak was used in 158 countries and territories. The vast majority of the traffic came from countries in North America, Europe, Australia, and South America. 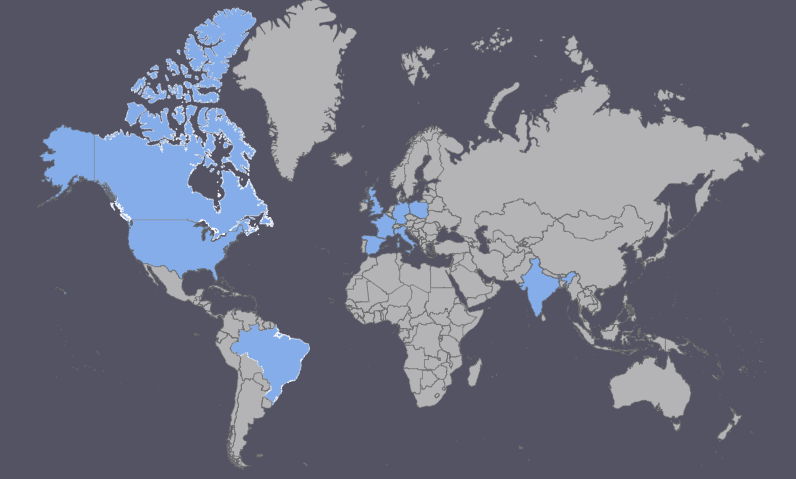 ThingSpeak is growing quickly around the world!